In Eclipse a project can have zero to many project natures. Various plug-ins provide functionality for a project if it is tagged with a specific nature. For example DVT builds a project only if it has one of the natures it knows about, for example Verilog, VHDL or e Language. Project natures are stored in the project definition, that is in the .project file. 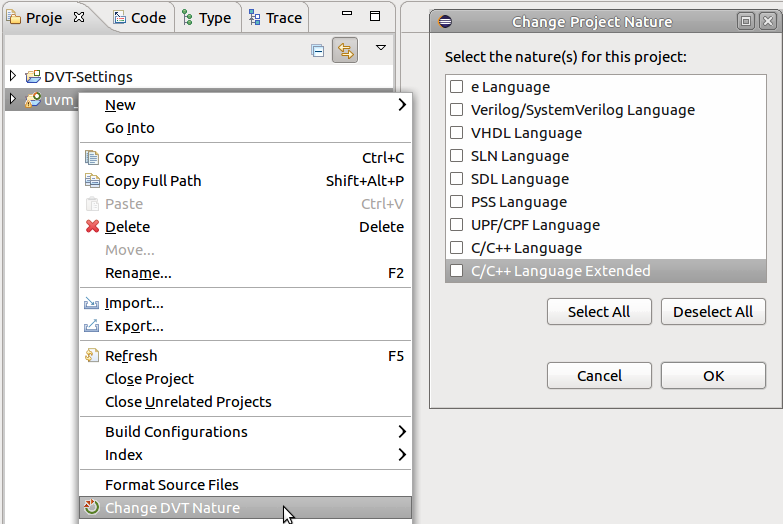 To turn on/off a specific nature for a project, select the project in Navigator and choose Change DVT Nature from the right click menu.